WIFW AW 2013: B&W to be around next season too? Maybe we should hold on to our black and white prints end of this season, ladies. 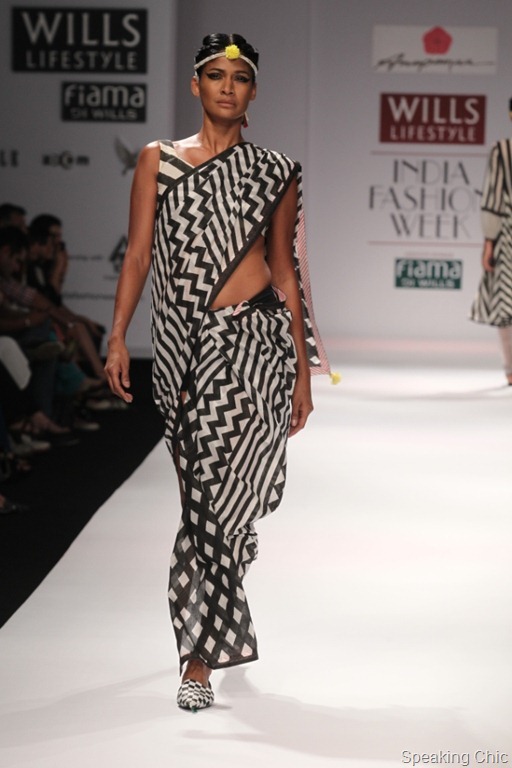 For black-and-white promises to be around next season, according to Anupama Dayal and Masaba Gupta among others. 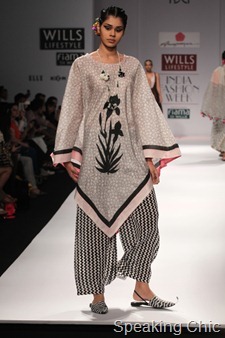 Islamic and Mughal art inspired Anupama Day’s zigzag and checkerboard prints on sharara-like trousers, jamas and angarakhas creating a flowy effect; while Masaba Gupta’s watercolour prints were true to the Satya Paul DNA. Are you wearing black and white yet?